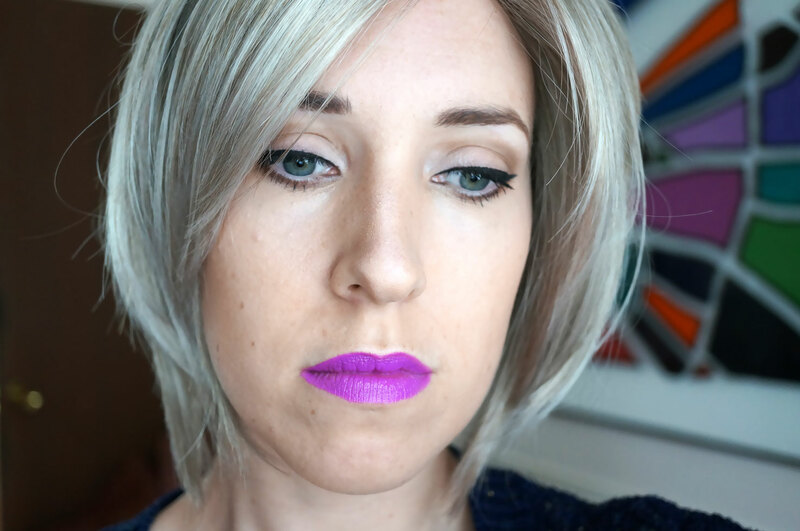 I thought I’d put a little look post together with my brand new Dream wig from Hot Hair and fave new lippy! – If you don’t know what that is, where have you been!? 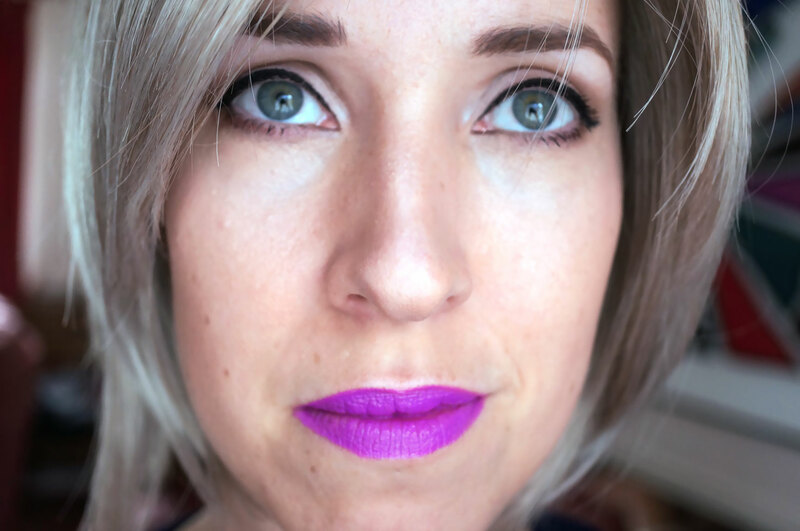 It’s the Too Faced Melted Lipstick in Melted Violet, you need this is your life! There are also plenty of other colours to choose from if you’re not a fan of purple 🙂 I won’t write all about the lipstick again, as I’ve already written two posts on it including the Melted Coral colour! So please check out these posts if you’re interested! Anyway, the main point of this post is that I wanted to show off my awesome new wig from Hot Hair! This is the Dream Wig by Natural Image, in Platinim Mist. Now, this was a bit of a risqué choice, as the wig is platinum grey – this is definitely not for the faint hearted! 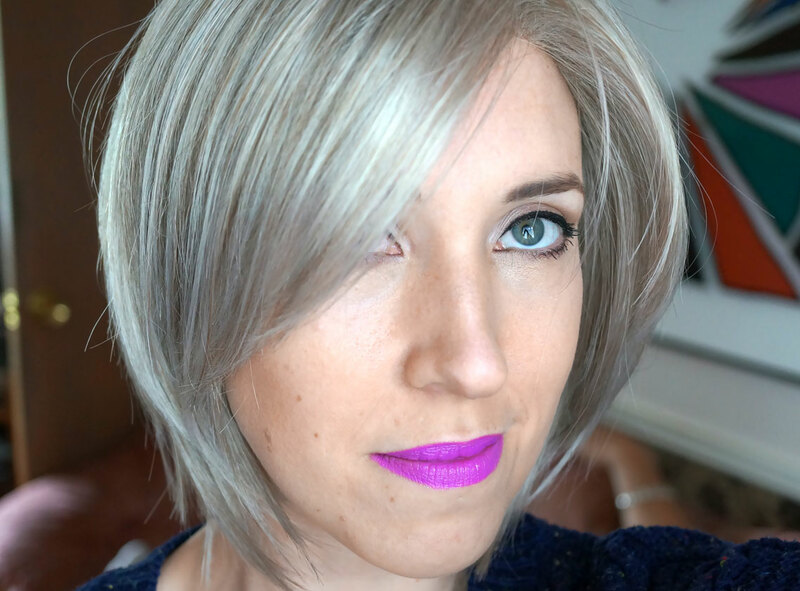 But you know me, I like to mix up my looks so I thought a grey wig with a bright lip could look really cool! When the wig arrived and I showed my other half, he was like ‘oh, it’s grey? ?’ YES! And I actually happen to love it! It’s also worth mentioning this wig features a Comfort Cap Base to ensure a cool, comfortable fit. And the Monofilament top is hand-knotted onto a flesh colored top to create lots of movement and to create the illusion that the hair is growing right out of your scalp. Awesome!